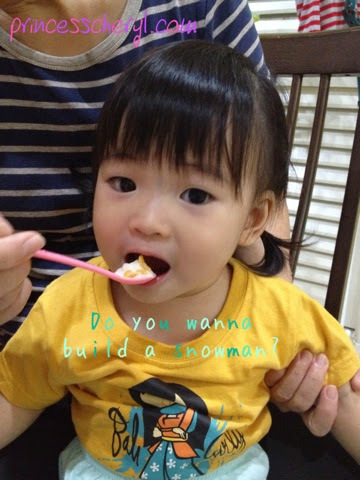 What is the fastest way to get an ice-cream? DIY at home! In just 5 minutes. Yes, just 5 minutes! You didn't hear me wrong. Only 5 minutes to get a few servings of ice-cream! So here is the recipe, I've successfully made it tonight and we've just finished it. Yes that's all you need! 1. 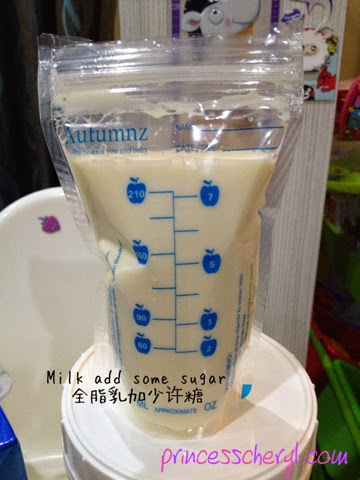 Fill up the breast milk storage bag or zip lock bag with 200+ml of milk. Add some sugar and slightly stir it. Zip it tight to avoid spillage. 2. 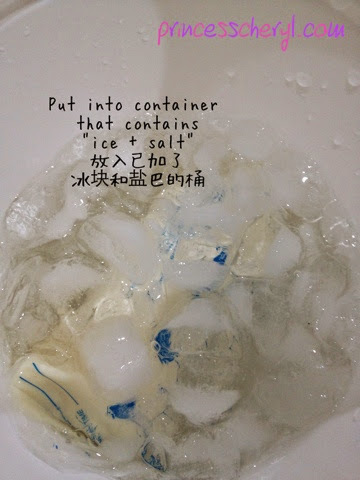 Dip the whole bag into the container which has been filled up with ice cubes and the salt. Cover it with more ice cubes. 4. 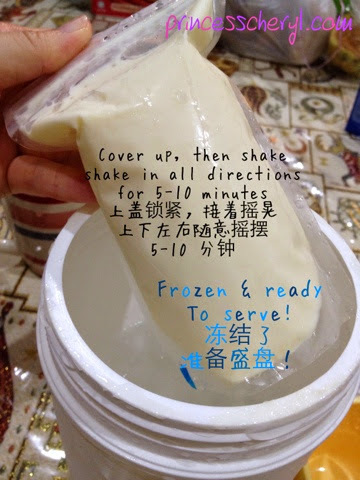 Shake continuously for 5-10 minutes. 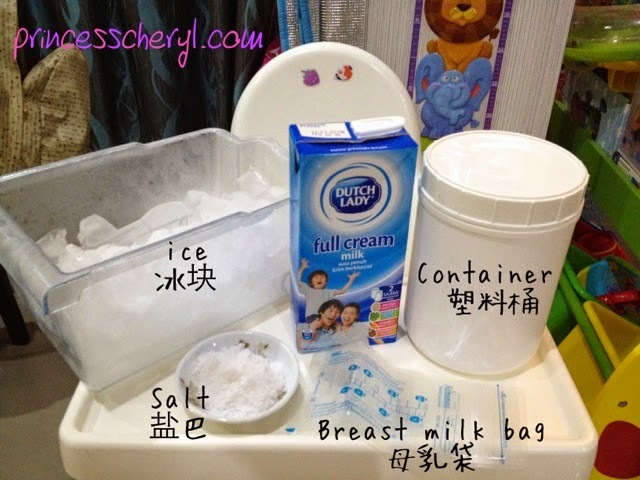 The salt will help to further lower the temperature and creating a flash freezing environment. It's amazing! You get to freeze your milk into ice-blended form within 5 minutes. 5. After 5 minutes. Ready to serve!! Have it plain or add toppings. 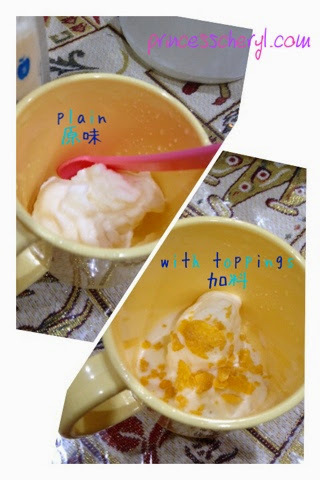 The texture is similar to ice-blended smoothie but more solid. Have it a try today!